How does Christchurch look three years after the devastating earthquakes? What did it look like before the central business district was demolished? 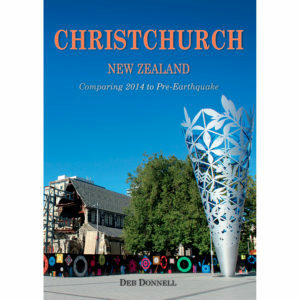 Christchurch, NZ: Comparing pre-earthquakes to 2014 is a 40 page full colour tour of the city. Photographs that were taken before the 22 February 2011 earthquake, and updated from the same location in 2014, show then and now. Christchurch and Canterbury are now in the 7th year of experiencing significant natural disasters, including earthquakes, wildfires and floods. The region is changing with each disaster. The cities and towns are being rebuilt, and significant landmarks are reopening after extensive repairs. The Kaikoura Earthquake in 2016 dramatically changed the geographic layout of the South Island forever. 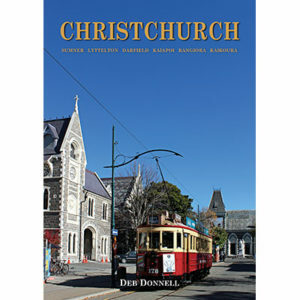 Christchurch 3rd Edition book takes the reader on a full colour tour of Christchurch CBD, New Brighton, residential red zone, the Port Hills, Sumner, Lyttelton, Darfield, Kaiapoi, Rangiora, and Kaikoura. The book has comparison photographs taken before and after the disasters, and updated from the same locations in 2017. It has 64 pages and 90% of the 155 images are new to the series. 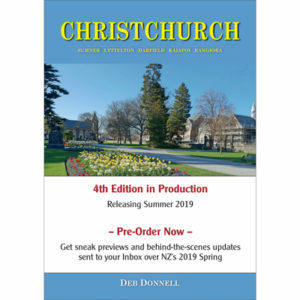 Order your copy now to add to your Christchurch memorabilia collection, or to gift to loved ones who are following the region’s transformative journey. The New Zealand Response Teams are volunteer groups trained to professional standards as an emergency resource that can complement or support everyday emergency services if they are overwhelmed to their normal capabilities. The 22 February 2011 was more than just an every day emergency. All seventeen registered teams were deployed to come and help Christchurch in its time of need. 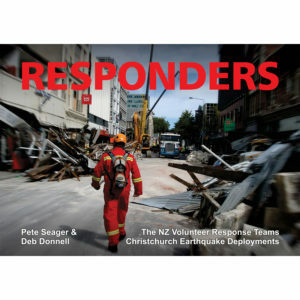 Responders tells the story of the NZ-RT Community’s first time in history where their skills were needed at one event, through private collection photographs and personal accounts of the teams and individuals involved.